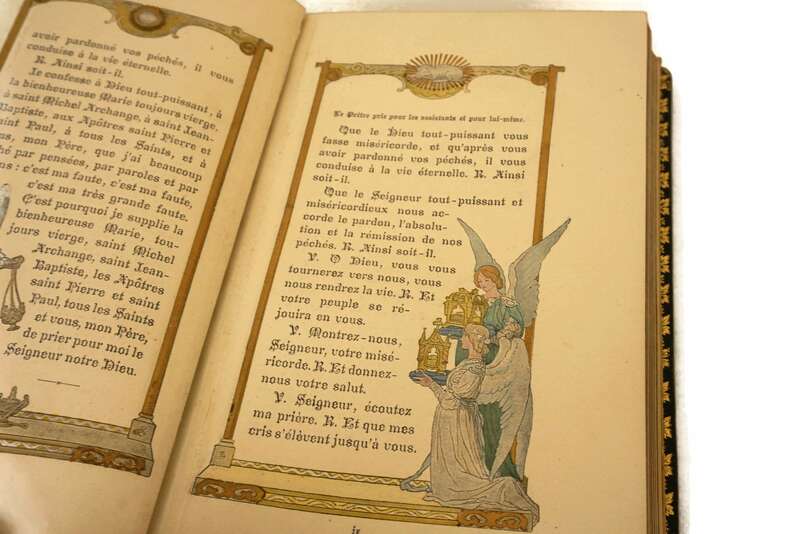 A beautiful antique French leather bound Missal dating from the early 1900s. 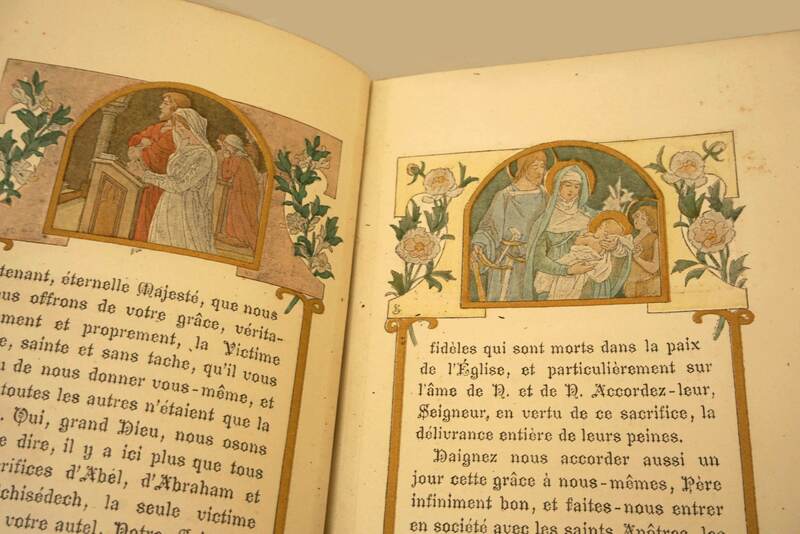 The Catholic pray book has been decorated with exquisite chromolithographs in the Art Nouveau style by Élisabeth Sonrel (1874-1951) and published by Tours publishing house known as A. Mame et Fils, under Paul Mame (1833-1903), son of Alfred Mame (1811-1893). 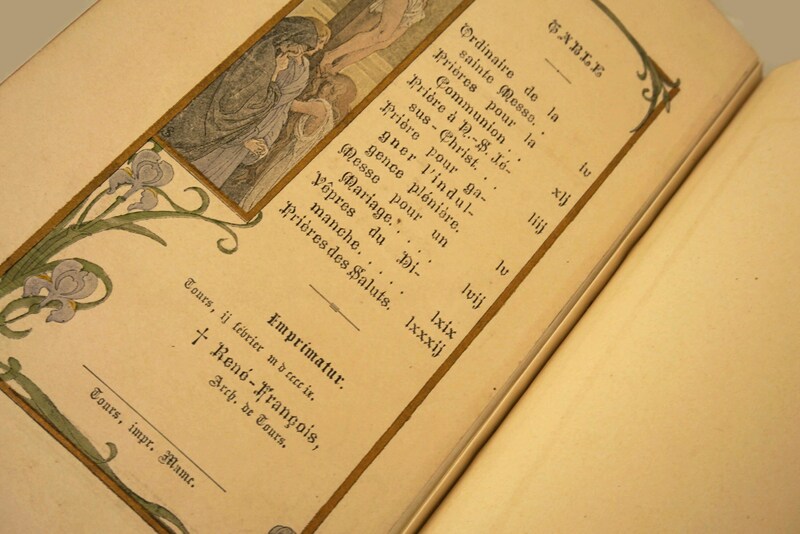 It is all written in French with some passages in Latin. 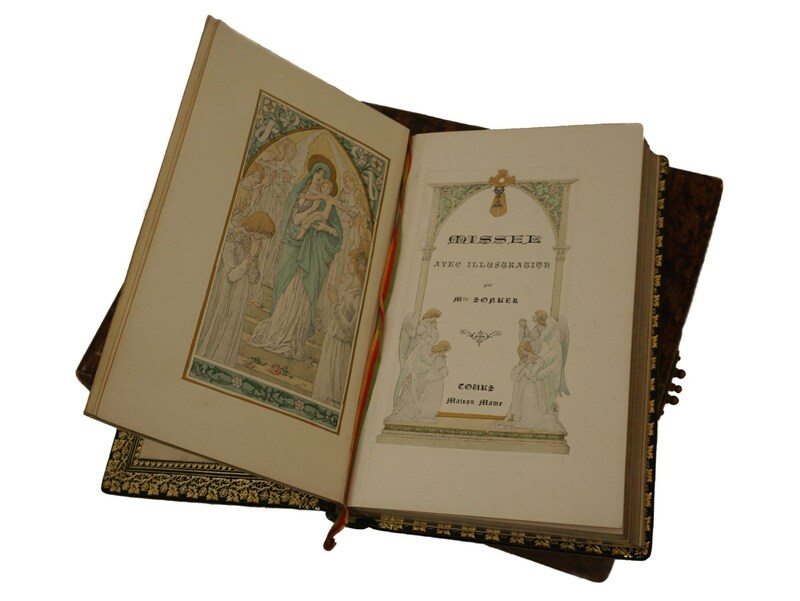 It has an ornate golden trim around the inside covers and the edges of the pages have been decorated in gilt. It has a yellow, red and green silk ribbon bookmark. On the frontispiece, there is a monogram, with the initials C and F on a moire silk covered page. There are 96 pages, beautifully illustrated. 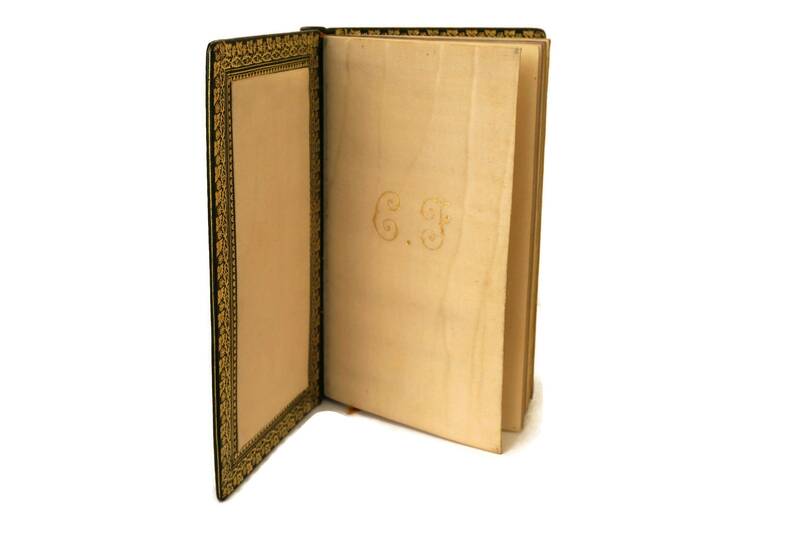 The Missal comes with its original wood effect pattern presentation box. Elisabeth Sonrel (1874 Tours - 1953 Sceaux) was a French painter and illustrator. Her works included allegorical subjects, mysticism and symbolism, portraits and landscapes. She was the daughter of Nicolas Stéphane Sonrel, a painter from Tours, and received her early training from him. For further study she went on to Paris as a student of Jules Lefebvre at the Ecole des Beaux-Arts. 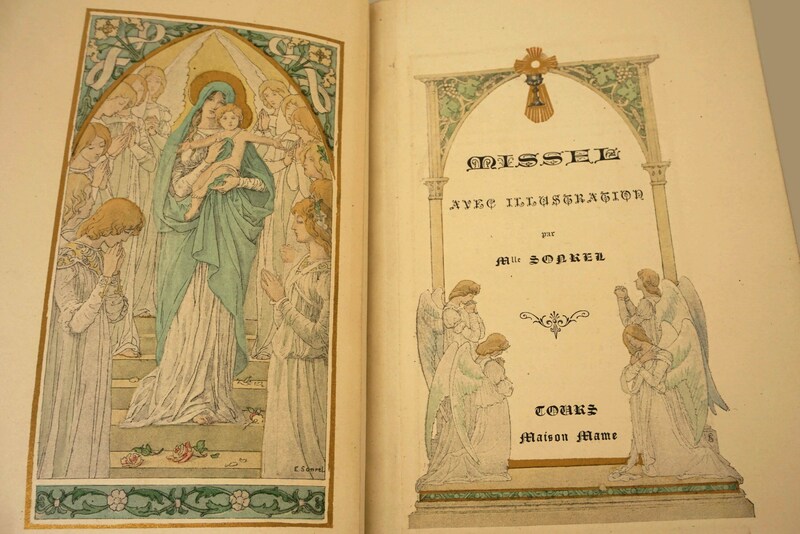 In her early years Sonrel produced posters, postcards and illustrations, in Art Nouveau style. Her portraits of pretty girls in soft pastels and floral wreaths are instantly recognizable from posters and other nouveau ephemera. 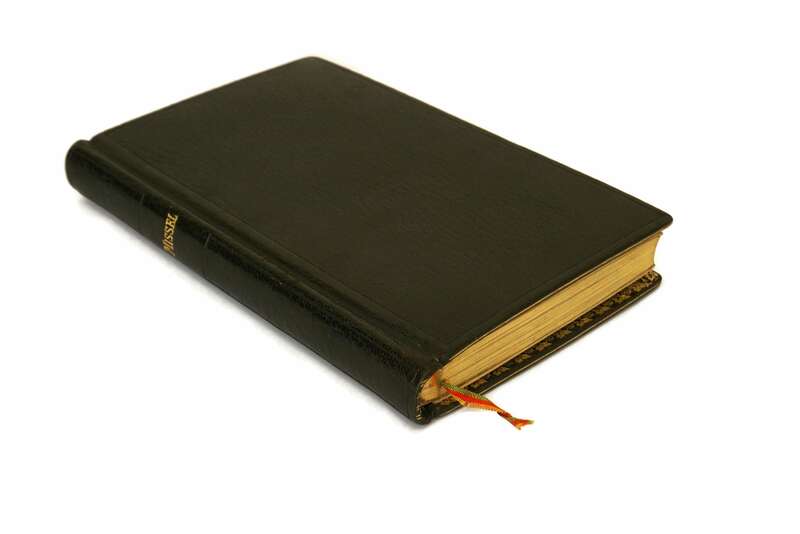 Missal: 6.75" Tall x 4.5" Wide x 0.75" Thick (17 cm x 11,5 cm x 2 cm). 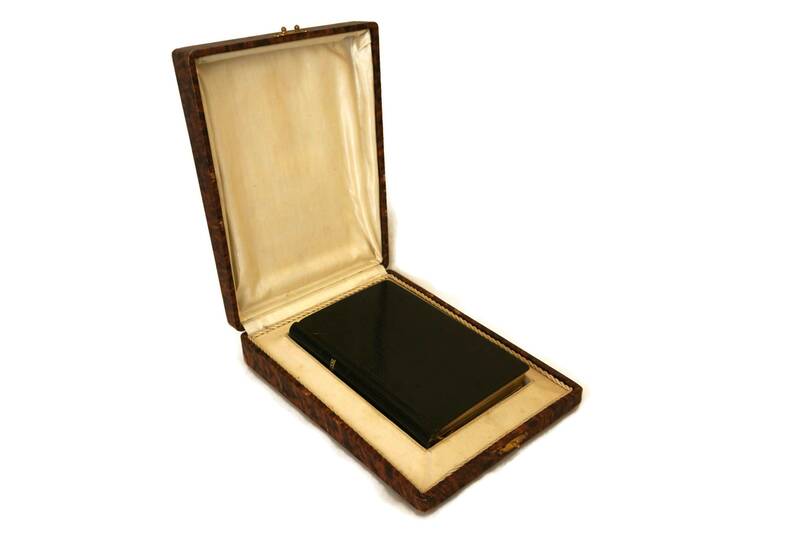 Presentation box: 9.5" Long x 7" Wide x 2" Thick (24 cm x 17,5 cm x 5 cm). 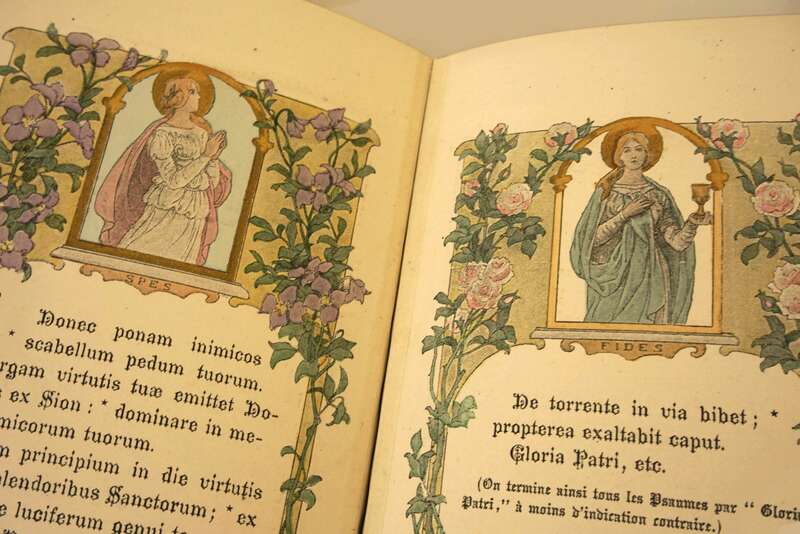 The missal is in very good antique condition with light wear including some discoloration marks to some of the pages. 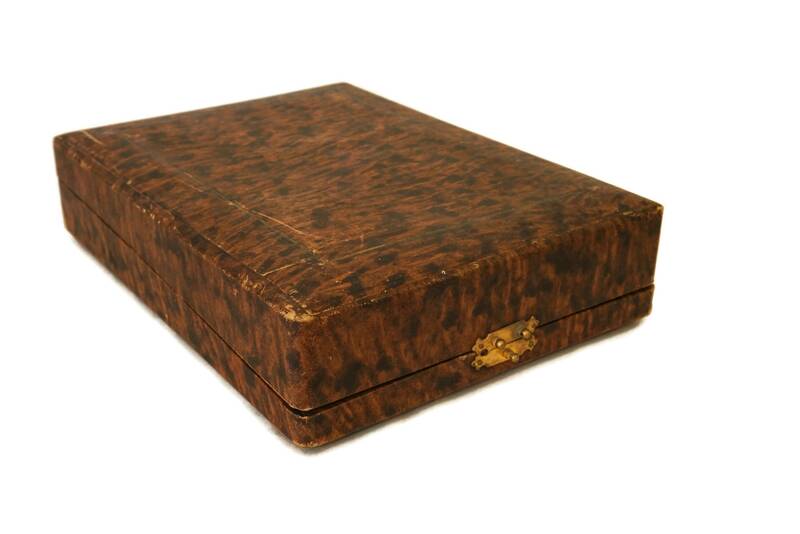 The presentation box has surface scratches and wear and the original latch has been lost.